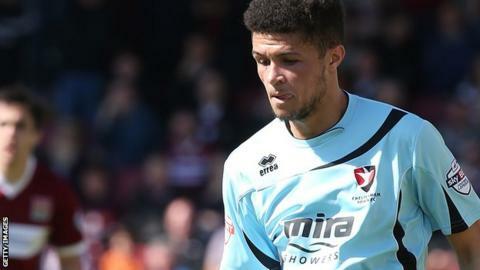 League Two strugglers Cheltenham Town have released on-loan trio Pablo Mills, Shaquille McDonald and Kane Ferdinand back to their parent clubs. Defender Mills, 30, has returned to Bury and 19-year-old winger McDonald has gone back to Derby County. Peterborough midfielder Ferdinand, 22, has also left Whaddon Road after making 15 appearances. "When all the loan players are fit we have seven in the squad and we can only name five," said manager Gary Johnson.